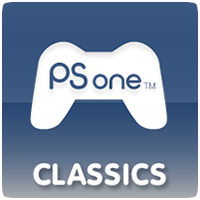 In a Press Release, Sony has confirmed that over a 100 PSOne Classics will be compatible on the PS Vita when Firmware v1.80 launches at the end of August. Jim Ryan revealed that from August 28th, over 100 PS One classics including Final Fantasy VII, Metal Gear Solid, and Resident Evil 2 will be available to download for PS Vita. Previously, it was though that only a handful of titles would be compatible with the PS Vita with further titles rolling out in stages. The crash series better be one of them.